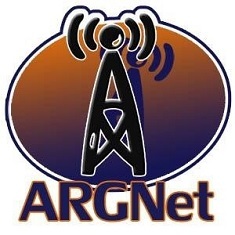 The second panel discussion at ARGFest focused on Running An ARG, and it had a diverse selection of panelists. Sam LaVigne and Ian Kizu-Blair of SF0, voice actress Kristen Rutherford of I Love Bees fame, and Unfiction administrator Jackie Kerr delivered a multi-perspective approach to the subject which in turn provided a thorough look at player relations. It was moderated by Unfiction moderator Krystyn Wells. Kerr began the panel by enumerating three design difficulties that can create problems with community relations: badly-defined game boundaries that confuse the players to the point of frustration, games that break down the community’s collective intelligence rather than supporting it, and design decisions that provoke so much meta discussion that it becomes difficult to interact with the game itself in a natural manner. Lavigne described the basic structure of SF0 — players perform assigned tasks but are left to determine how to fulfill the assignment, then supply proof to the game’s creators and other players — and how the player base incentivizes the gameplay for itself (players award points to other players and create their own tasks). Kizu-Blair elaborated on the game’s non-narrative structure and how it resembled the task-based structure of some MMORPGs: players perform tasks in order to “level up” and gain access to harder tasks. Unlike most ARGs, SF0 is less about accessing more story or more information, and more about discovering your own ability to modify both your own behavior and your surroundings. In some senses, SF0 does have a narrative, but that narrative is the story of the community and its inherent alliances, friendships, and rivalries, which can end up being very compelling for the players as they discover their power to affect one another. Wells then turned to Rutherford to discuss the motivation for players to talk to her character. Rutherford observed that players seemed to be motivated by a desire to help her character, and that she was surprised by players’ passion and how much they cared about her character. The players’ immersion in their interactions with Melissa and Rutherford’s own immersion in the character seemed to feed one another, so much that when Rutherford listened to the recordings of her calls with players, she sometimes had no recollection of what she’d said until she heard it played back. The SF0 designers, when asked about gamejacking and how they kept control over their game, weren’t particularly worried by it, explaining that all players can really do is submit tasks that weren’t done adequately, which the designers can easily reject. They have less control over the live events, but they seemed to feel that the dangers there were more from unexpected real-life mishaps than from player attempts to seize control. Kerr touched on the inability to control every aspect of the game in a discussion of PM-player trust, noting that a 4-6 person PM team can’t stand against a hostile audience of thousands of players. The implied dialogue going on between PMs and players constitutes a sort of “body language of ARGs” about how to play a game and is where the trust is built. Kizu-Blair described SF0 as an attempt to build a game where the designers had the least amount of control possible over the players and the game. Rutherford noted that the puppetmasters’ ability to adapt fluidly to the players’ actions was essential in maintaining that trust, even when the outcome was not necessarily what players might have wanted. When the discussion was opened up for a Q&A session, an audience member was curious about whether SF0 was location-specific. Lavigne revealed that even some of the tasks that the designers thought were San Francisco-specific had been coopted and adapted by an international audience, which was followed by a brief retrospective of some of their favorite player interpretations of SF0 tasks. Another audience member asked about monetizing the game. Kizu-Blair said they wanted to keep the game free to play. The panel as a whole was asked about competitive versus cooperative models, and Kerr described the natural competition that occurs within a community, and noted that games can play off that natural competition without harming the collaborative side of the community. The other panelists agreed that there has to be a balance between competition and cooperation. That discussion was followed by a question about how puppetmasters ensure that information from one-on-one interaction gets out to the entire community. Kerr talked about the importance of building in redundancy for that sort of interaction, as well as the importance of creating a game that empowers players to become members of a community and share information.